The United States of America began as a land of immigrants with people coming from all over the world: Europe, Africa, Asia… They settled on soil that became united as one. Today, the inhabitants are all called Americans, regardless of their original ancestry. For us in Africa, it has been less complex. The majority of people living in Africa come from Africa and have had their roots for many generations, in Africa. The continent of Africa is surrounded by oceans and guarded by boundaries and barriers. We are a diverse people in ethnicity, language, physique, cultures. We even make our Jollof rice differently! But we are Africans and like the Americans who originated from different ethnicities, we have common goals and struggles. Unlike the Americans, we have restrictions and borders. We have not lived as one people. The African Union(AU) is the body which was set up to ensure the unity of Africa. It emerged from the Organisation of African Unity (OAU) which was also put in place in 1963 for the same reason. Africans didn’t think the OAU was achieving its goals. It wasn’t protecting the people and there were still so many barriers existing that would inhibit the growth of the continent. The idea of the AU was pushed from Libya in the late 90s under the then head of state Muammar al-Gadaffi. It was born in Togo at the Lome summit in 2000. All 54 African countries belong to the AU. But have the objectives been met over the years? One would say there have certainly been many successes, especially in the area of settling conflicts in troubled areas on the continent. The AU is focused on good governance. It seeks to promote peace and democracy and routinely deploys monitors to elections in Africa whenever such elections occur. As much as good governance is beginning to yield results as democracy spreads across the continent and accountability is coming into the consciousness of people; As much as Africans are more able to stand up for who they want to govern them, there are still a lot of gaps in the area of poverty alleviation and the economic development of African countries. Trade barriers still exist today preventing ease of transactions. Infrastructural barriers exist, preventing ease of movement; borders exist in every country, further preventing ease of movement. We are not the European Union. Far from it. You cannot work in any country that you wish to in Africa as an African. As a matter of fact, you have less access to many African countries than do non-Africans with citizenship from western countries. I remember the Group Chairman of the United Bank for Africa (UBA), Tony Elumelu at a panel session at the World Economic Forum (WEF) in 2016, discussing what it would take to move the continent in the direction of job creation and poverty alleviation. The proponent of Africapitalism, this serial entrepreneur who has invested millions in the youths on the continent in his quest to alleviate poverty, believes that we can do so through the private sector. At the panel session, I remember Elumelu in far away Davos, talking about the borders to trade being a major impediment to poverty alleviation in Africa. He posited that if borders were opened up, there would be more opportunities for the youths (who incidentally make up over 60% of Africa’s population today) to work and to create jobs for others. Over the years, I have heard the same narrative from Mr Elumelu. At UBA where he is chairman and where I presently work, the strategy has been to promote trade across Africa and to develop infrastructure that helps communities create wealth. From funding road projects in Ghana, to financing renovations of 8 stadia in Benin and the construction of one in Cameroun; the maintenance of gas storage plants in Burkina Faso to supplying raw materials used to manufacturing fertilsers in Zambia; Building multi-million dollar dormitories for students in Senegal to financing power infrastructure in Tanzania. UBA has invested billions of dollars in power, manufacturing, construction, agriculture, education, telecommunications and other sectors across Africa over the years. UBA isn’t called the United Bank for Africa for nothing. The bank actually is focused on payment solutions that will ease the way we transact business on the continent. Take for example, Connect Africa which is a UBA product that ensures you can be from one country and have your finances domiciled in that country, but travel to another one and are able to transact instantly with your own cheque book and from your own account with such ease. That is uniting Africa. 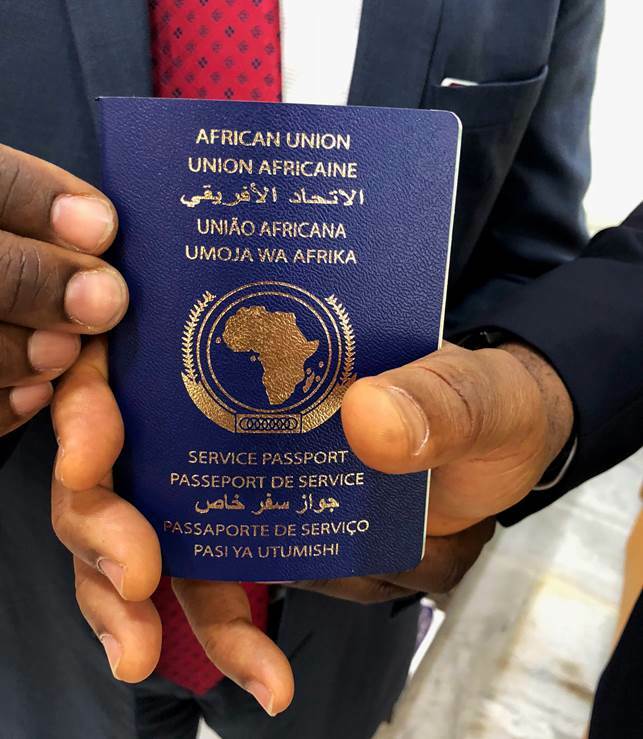 Whilst UBA can only do so much in uniting the continent, the AU has achieved a notable milestone in its introduction of the African Union passport in 2016. This is a really strong and positive move on the part of the AU. Its aims to remove barriers. It aims to unite. One Africa; one people. On March 20, 2018, the Group Chairman of the United Bank for Africa, Tony Elumelu became one of the very first people for whom an African Union passport was issued. A truly symbolic gesture to someone who has propagated the concept of one Africa for so long. Befitting for a man who has devoted his time and his wealth - U$100 million of it - to working to create jobs and alleviate poverty in Africa. It is very encouraging news. I am personally pleased by this great stride made by the African union in connecting and uniting the continent. With the launch of the AU passport and the signing of the Continental Free Trade Area agreement, the continent is on its way to achieving 100% free movement of people and goods across borders. This will open huge opportunities for Intra-Africa trade and employment generation for Africa’s youths. 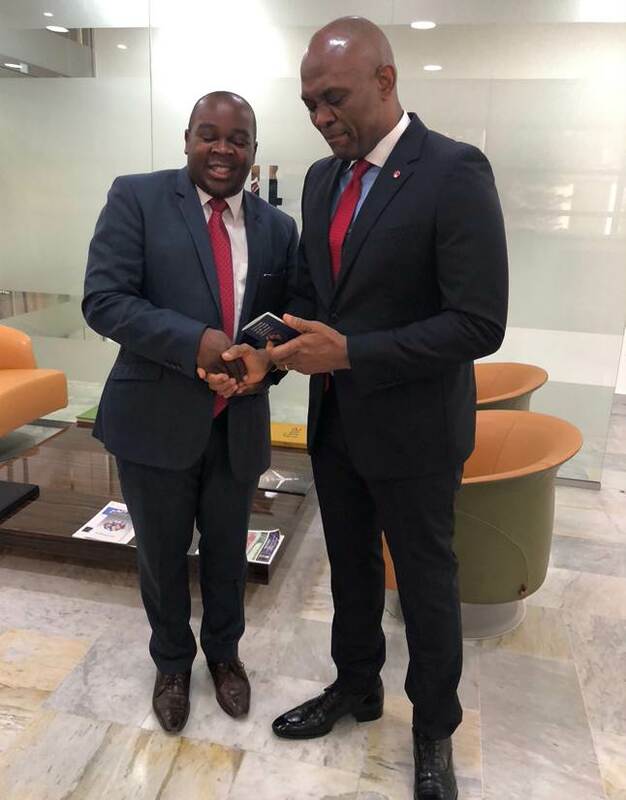 We at UBA congratulate our Group Chairman not because he received his AU passport, but because it is one symbol and appreciation of the work he does tirelessly through the private sector, to ensure that Africa will grow out of poverty and Africans will desire to live in and invest in Africa. Africa is indeed on the rise and very soon, the dividends of its diversity and richness of resources, will begin to yield fruit. It's very easy to hack a whatsapp account if you use this service.